Isoniazid is included in the list of vital and essential drugs, that is, must be present in the range of all pharmacies in our country. It is used in drug therapy of various forms of tuberculosis, but currently the doctors replace it with a more modern and safe drugs. The fact that the poisoning with isoniazid may occur even after the medication is recommended by doctors dosages because of the extremely heavy side effects. The hydrazide of isonicotinic acid is an antibacterial drug for tuberculosis treatment regardless of the localization and number of inflammatory lesions. Isoniazid (tubazid) synthesized more than sixty years ago, but still have not lost their relevance. This is due to the selectivity of means in relation to pathogenic agents of diseases of the lung, as well as its efficiency. After taking the pills the vast number of microorganisms in the infected foci dies. Owners of dogs isoniazid is known not as a remedy for tuberculosis, but as a deadly poison for Pets. The movement of hunters use that stuff to kill dogs in large cities. Even a large dog will not survive falling into his gastrointestinal tract microscopic doses of isoniazid. The drug reduces the functional activity of enzymes that are involved in the formation of acids – the main component of bacterial membranes. Direct chemical reaction does not occur, isoniazid contributes to the active metabolite possessing destructive to microbial action. The drug does not change the intestinal flora, deforming only the cells of TB germs. This high permeability of isoniazid and its ability to accumulate in significant concentrations has a negative side. A drug has excessive toxicity, provokes the strongest poisoning. 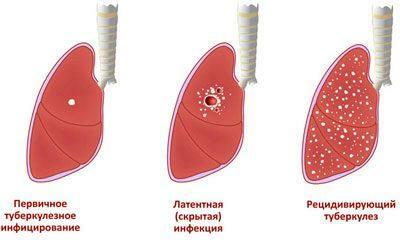 Tuberculosis of the skin, lung, bone is an indication for treatment. If after applying the Mantoux test to young children diagnosed predisposition to the disease, the recommended dose of isoniazid for preventive purposes. The drug is made by pharmaceutical industry in the form of tablets of various dosages, and a 10% solution for parenteral introduction. The latter is used for the treatment of extensive infectious foci in extremely rare cases, as the triggers the occurrence of side effects. The drug is able to slowly accumulate the liver cells and destroy them. In the medical literature described the occurrence of hepatitis izoniazide, it is hard treatable disease. After oral administration the maximum concentration of isoniazid inside the blood stream is observed after an hour. The drug is metabolized by the liver, most of it is excreted in the urine during the day. Any organ of the human digestive system capable of absorbing isoniazid in significant quantities. Must comply with medical recommendations to prevent potential overdose, poisoning, occurrence of side effects. Predisposition to development of allergic reactions. The use of isoniazid with other drugs, alcohol. 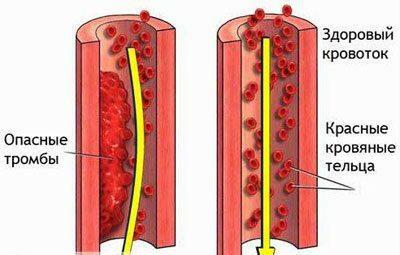 Poor circulation, a tendency to thrombosis, high vascular permeability. Overdose isoniazid demonstrating selective neurotoxic effects tools for the treatment of tuberculosis. The absorption of the drug within the gastrointestinal tract will cause indigestion and painful cramps. In the process of blood filtration renal structural elements of the drug causes changes in the functional activity of the urinary system: decrease in amount of urine, small amount of urination. This phenomenon occurs because of the ability of isoniazid to inhibit the enzyme that is responsible for the transformation of pyridoxine. Occurs activation of biologically active substances, develops its deficiency in cells and tissues of internal organs and the circulatory system. A lack of vitamin affects synthesis of the inhibitory neurotransmitter of the Central nervous system. As a result of accumulation in the smooth muscle fibres of derivatives of lactic acid occurs the main symptom of poisoning is convulsions. inflammation of the trunk of the optic nerve. The victims also diagnosed decreased muscle and motor reflexes. High toxicity of isoniazid causes the death gepatitov until the occurrence of extensive necrosis of liver cells, the failure of the biological filter to perform its functions. For such a situation is very likely fatal. In chronic poisoning TB medication for the affected may develop hypoxia of brain cells. The characteristic symptoms of this condition are visual hallucinations and acute psychosis. In the diagnosis of acute intoxication after ingestion of large doses of isoniazid laboratory results indicate the accumulation of high tissue concentrations of lactic acid. The resulting acidosis epileptic seizures lead to the development of coma, and in the absence of detoxification therapy comes death. Disrupted gastrointestinal tract: nausea, vomiting, diarrhea, flatulence and painful abdominal cramps. There is emotional instability (irritability alternating with apathy), drowsiness, dizziness. Develops tremor of upper and lower extremities, quickly turns into cramps. Disturbed coordination of movements, a possible fall. Hypertension is replaced by the pressure drop to a dangerous low. 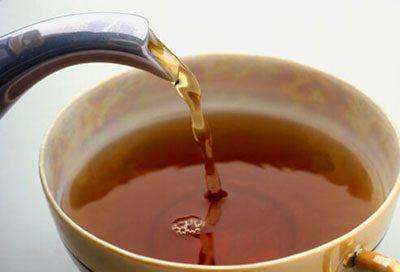 Urine is small in volume and has a dark color and unpleasant smell. The skin is moist, pale. 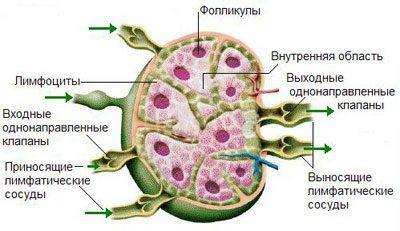 The person feels pain in the muscles and joints. If at this stage of the poisoning not to render aid to the victim, it begins to slow down the heart rate and the pulse becomes thready. In a few minutes there is respiratory depression and the person falls into a deep coma. As a rule, its duration is not more than two days. To lay, to calm down. If the person is unconscious, turn him on his side: there is a possibility of reverse regurgitation of vomitus in the upper airway. To cleanse the bowel. The victim should drink 2-3 liters of warm clean water. Induce vomiting prior to discharge from the stomach fluids without impurities of food. To bind any unabsorbed drug isoniazid. You need to give the man a strong and sweet tea, any adsorbents or sorbents. Intoxication by isoniazid is deadly for small children. You should store the capsules and tablets in inaccessible places. If the poisoning of the kid happened, it makes sense to go with the child towards the doctor. It will provide emergency assistance faster, which will reduce the probability of death.